Click Here to View Pictures and Posts of 2016 Open House Events! Below is promotion for April 30, 2016 event. Millennials seeking a better way to raise their families and increase collaboration with others. For Visitors, see the list of participating Cohousing Communities. Find ones near you or travel to those of interest for this special occasion! RSVP here. 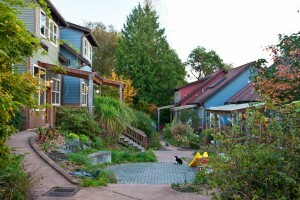 The Cohousing Directory provides a list of communities in the U.S.